Help Tjoapack tell the story about the importance of packaging medicines. Tjoapack is an independent contract packager of medicines, mainly in solid dosage form. The company was founded in 1989, and serves clients in both Europe and beyond. In a changing market Tjoapack focus is on innovation. For their clients -the pharmaceutical industry- these innovations are crucial for the distribution and usage of their products in a safe and controlled way. The insight that someone close to you, or us, might be prescribed a medicine that has been packed by Tjoapack (and the way this has been done could make the difference between life and death) lead us in the direction of a end-user first approach. 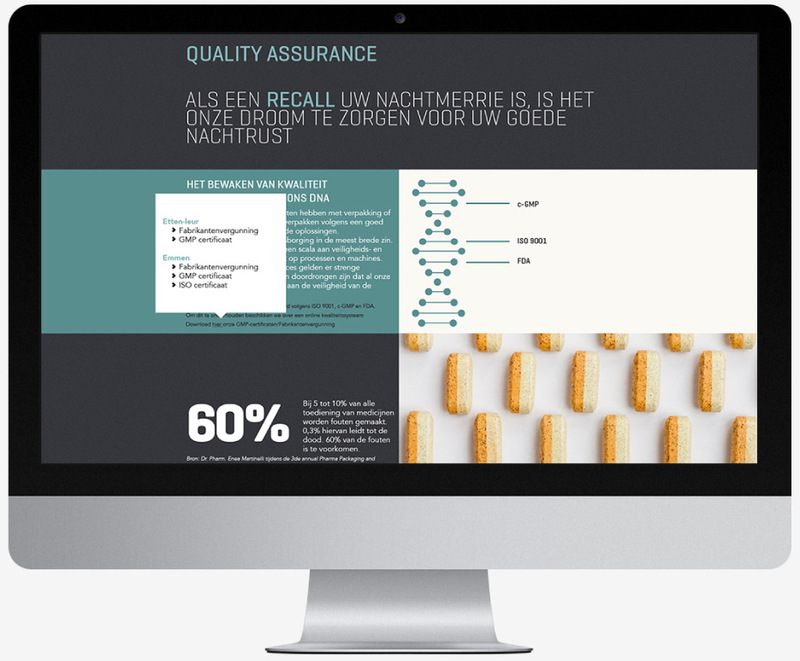 The positioning of Tjoapack changed from being a supplier to being a partner who takes care of a critical succes factor in the pharmaceutical supply chain.